Jailed former Brazil president Luiz Inacio Lula da Silva has decided to cease commenting on the World Cup for Brazilian television to avoid breaking election rules. The 72-year-old leftist politician was the front-runner for October's presidential elections until his incarceration in April after being convicted of accepting a bribe from Brazilian construction company OAS. "In order to comply with the electoral legislation, which prohibits pre-candidates from participating in radio and TV programmes from June 30, his comments will stop being broadcast on Jose Trajano's programme on TVT," said Lula's Workers Party (PT) in a statement. Although his 12-year sentence prevents him from standing in the October 7 elections, Lula continues to insist his name will feature on the ballot paper in three months time. Lula, who previously served two terms as Brazil's president, claims his jailing was politically motivated and has appealed his sentence. He insists he's innocent and has branded the accusations of accepting a seaside apartment as a conspiracy aimed at preventing him from running for president. 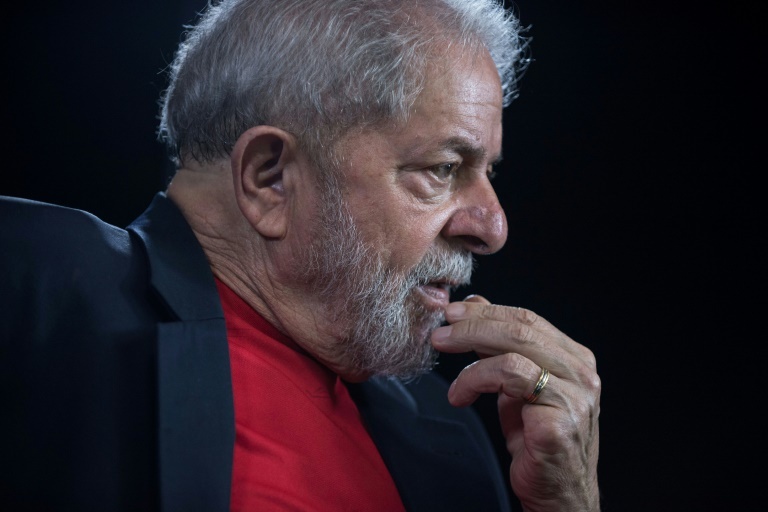 Lula started publishing his World Cup thoughts on Trajano's programme on June 18 and although that will stop, he will continue to do so on his personal website. The last of his impressions to feature on the TVT show followed Brazil's 2-0, last-16 victory over Mexico on Monday. Lula said Neymar and his team-mates could reach the final if they "keep playing with team spirit and football solidarity." Despite his jailing, Lula still leads presidential polls. However, in May, prosecutors filed new graft charges against him and three other political figures for allegedly being promised $40 million (34.3 million euros) by corruption-riddled construction giant Odebrecht. These scandals have badly tarnished Lula's reputation after a hugely successful presidency from 2003 to 2011, after which he left with sky-high ratings following an economic boom and widely praised social programmes to reduce poverty.